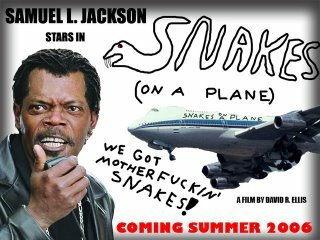 Samuel L. Jackson is the man! Not quite stereotyped (okay, maybe a little), he brings bug-eyed intensity to his roles as well as that toughness that allows him to utter lines like: "Do what I say and you'll live" with a straight face. More importantly, the audience believes him. Come on, admit it, if your life depended on just one actor, you would want Sam Jackson, whether he's in a kilt (Formula 51), wielding a purple light saber (Star Wars Episodes 1 - 3), or shooting ice out of his finger tips (The Incredibles). 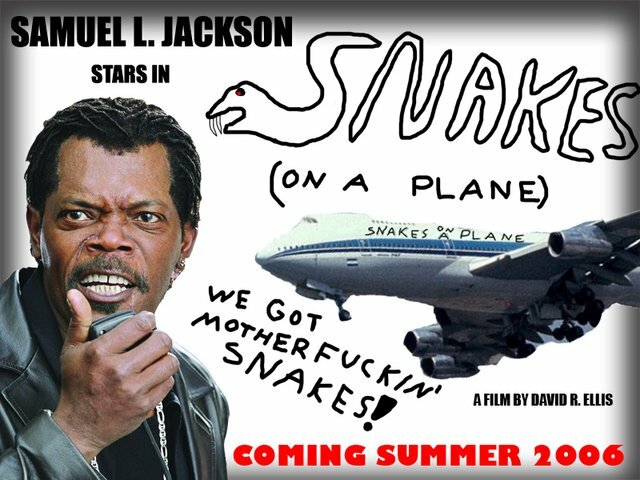 Snakes on a Plane, Jackson's latest endeavor, has been buzzing all over the Internet since the beginning of the summer. Proper critics (like the one in Lady in the Water, and we know what happened to him) turned their nose up at the first preview, prompting co-star Julianna Marguilies to comment that with S.o.a.P., there is no question what you're getting, you're getting snakes on a plane. The blogosphere was more receptive to the the movie, probably because of Jackson. Producers decided to ask bloggers what they wanted, and more importantly they listened. First and foremost, S.o.a.P. needed to be rated R, not PG-13. This would allow the film to become a vehicle for Jackson, and his rather colorful use of the English language, with no holds barred. The result, a movie worthy of Jackson and the top spot this weekend at the box office. The plot of the movie is quite simple: a man witnesses the murder of LA's district attorney. Sam Jackson saves him from an assassination attempt and convinces him to fly from Hawaii to LA to testify. On the plane are, you guessed it, hundreds of poisonous snakes. The simplicity of the plot allowed for one of two things: a ridiculous farce of a movie that takes itself seriously or classic camp, a brilliant B-movie for the end of a pretty mediocre summer season. Director David R. Ellis, the child star turned stunt man turned director, decidedly opted for the latter. No other horror movie will make you laugh as much as S.o.a.P. does. By not taking themselves seriously and going for camp, the S.o.a.P. crew allows the movie to be both bad and good. There are moments of genuine emotion (when the stewardess who turned down early retirement is bitten saving a toddler's life) as well as true terror (when a snake springs out, fangs outs, even though you are expecting it), but mostly this movie is funny. One guys is eaten by a giant constrictor (and you'll cheer for the snake, I promise) and another is bitten while emptying his bladder. S.o.a.P. 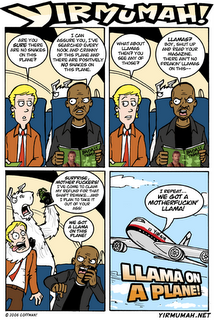 reaches its climax when Sam Jackson finds the second co-pilot dead and declares: "Enough is enough! 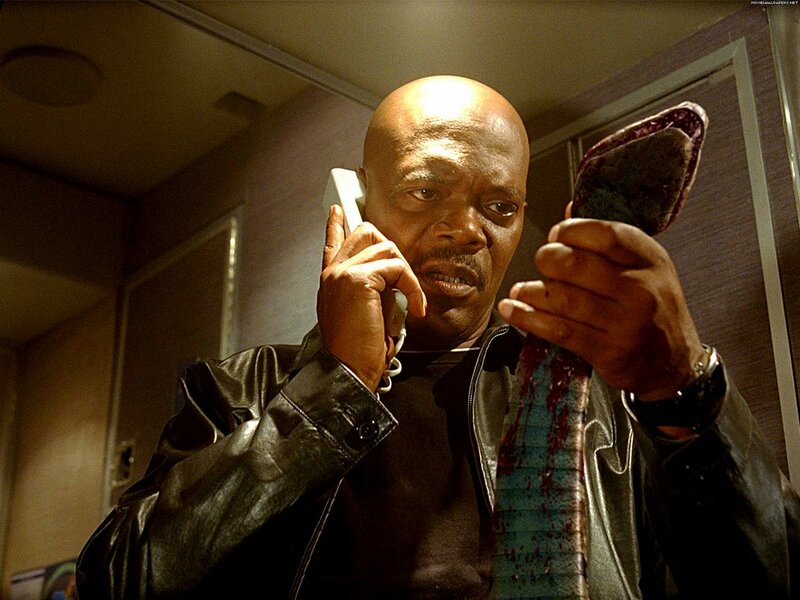 I've had it with these motherf@#$in' snakes on this motherf@#$in' plane." At that point, the theatre erupted into applause, because everyone knew he was going to triumph. I can't wait to see this movie again!